Drummers working to develop their Neil Peart mojo will be happy to hear that there’s a new instructional DVD from the famed Rush drummer due for release on Oct. 14. The DVD will be called ‘Taking Center Stage: A Lifetime Of Live Performance.’ and the cover art features Peart throwing a drum stick up in the air. The tour footage is rounded out with soundcheck and pre-show warmup clips that have specific on-camera commentary from Peart. 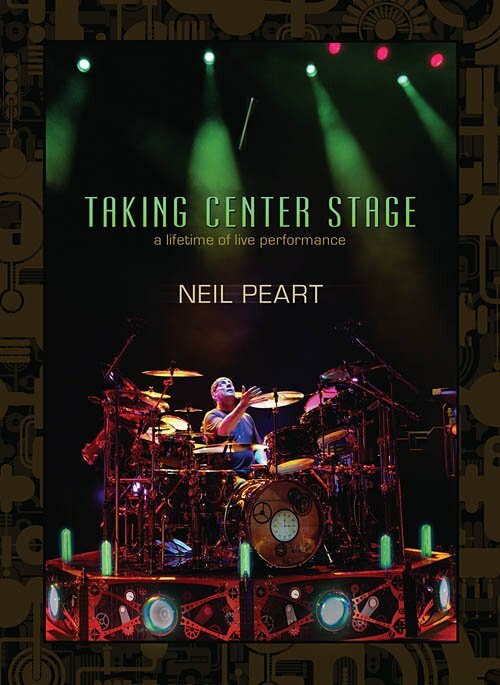 The product description for ‘Taking Center Stage’ notes that Peart guides the viewer through each song on the setlist for the current tour, analyzing and demonstrating his playing techniques for each song. A detailed .PDF eBook corresponds with all of the instructional content, containing complete transcription for his parts of each song. At the end of each song section, the drum-cam video shows Peart-specific performance footage of the song. Peart got some nice TV time earlier this year as part of ‘Drum Solo Week,’ performing his typically monolithic drum showcase which he somehow managed to compress into a TV-friendly five minute segment. The bass player and lead singer of legendary rock band RUSH turns 57 today and the dude is still rocking like it’s the 1970′s. 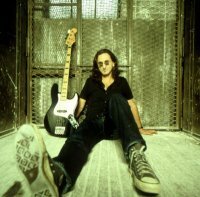 Gary Lee Weinrib, better known as Geddy Lee (born July 29, 1953), is a Canadian musician, best known as the lead vocalist, bassist, and keyboardist for the Canadian rock group Rush. 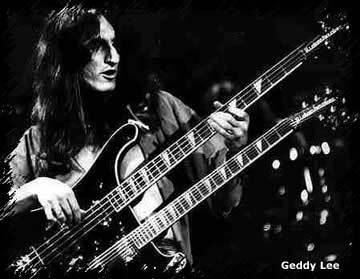 Lee joined what would become Rush in September 1968, at the request of his childhood friend Alex Lifeson, replacing original bassist and frontman Jeff Jones. An award-winning musician, Lee’s style, technique, and skill on the bass guitar have inspired many rock and heavy metal musicians, such as Steve Harris of Iron Maiden, John Myung of Dream Theater, Les Claypool of Primus, Juan Alderete of The Mars Volta, and Tim Commerford of Rage Against the Machine. In addition to his composing, arranging, and performing duties for Rush, Lee has produced for various other bands, including Rocket Science. Lee’s first solo effort, My Favorite Headache, was released in 2000. Along with his Rush bandmates – guitarist Alex Lifeson and drummer Neil Peart – Lee was made an Officer of the Order of Canada on May 9, 1996. The trio was the first rock band to be so honoured, as a group. Lee is ranked 13th by Hit Parader on their list of the 100 Greatest Heavy Metal vocalists of all time. Alex Lifeson ha redefinido las barreras de la guitarra en el rock progresivo a lo largo de su carrera con Rush, es por eso que la marca Gibson decidió crear la guitarra Custom Alex Lifeson Les Paul Axcess, que al igual que Lifeson, redefine las fronteras de la clásica Les Paul. La guitarra se puede encontrar en dos colores: Café Viceroy y Carmesí Royal, ambos aprobados por el propio artista. De hecho, las primeras 50 guitarras (25 de cada color) serán autografiadas por Lifeson.